Q: What is the best honeymoon spot? A: This is definitely a matter of opinion for you and your hunny to decide. But my advice is not exactly a 'where', but a 'what'. CRUISE! We did a 7 day cruise for our honeymoon and it was just what we needed after a year of planning a wedding (also graduating college and starting our careers...). Cruises just take away all the stress, once it's booked you literally get on and relax for the rest of the time. Food, entertainment, lodging, it's all good to go! Q: Best advice for picking wedding colors? Q: Best location for a summer wedding? Q: One thing you wish you did and now thing you could have lived without? A: Guys, I am literally sitting here trying to come up with one thing I wish I had done, and I can't think of anything! I had everything I wanted and more, which sounds soooo brag-y which I hate but it really is true. The only thing I can come up with is to have more color on my cake. Our cake was gorgeous up close but from afar you couldn't see all the details since it was white on white with touches of gold. One thing I could have lived without? Hmmm... nothing on the day but I could have done without all the stress while planning (LOL, right?!). I wish I would have had a crystal ball to know everything would work out so well, then I could have relaxed a little. But I always say, when something works out how you want it to, you can't really wish for the past to be any different because it all led up to that perfect moment! Q: Who should be with you for off-site, pre-ceremony photos? 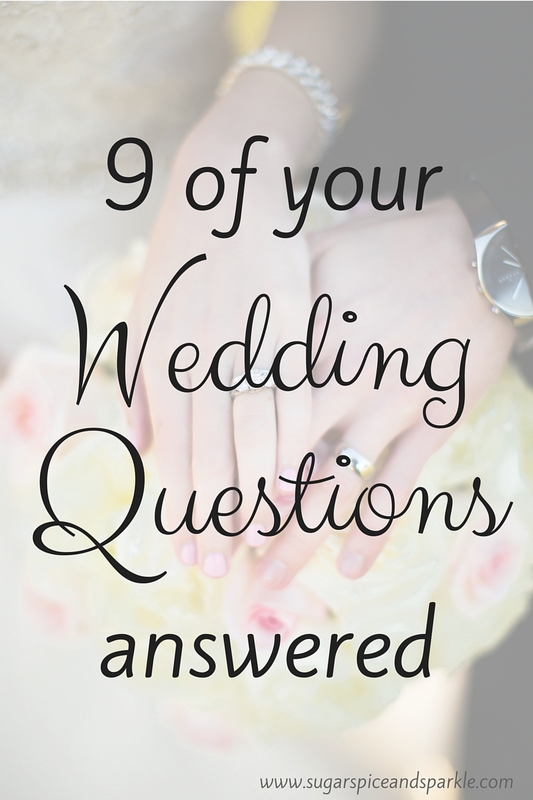 A: I would keep it simple - bride and groom (obvi), bridal party, and parents. Everyone else can be in the post-ceremony photos. You will have butterflies before it all begins so just keep it simple. Q: Things you should have a back-up plan for (besides the obvious "what if it rains")? Q: What was the most stressful aspect and why? and it is so true. 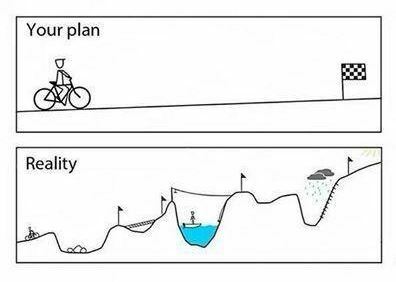 End result might be the same but the path will be harder than you think. It'll be worth it, just trust me. Q: How do you deal with not having any help for the planning process? A: I'll help you! Haha, I wish I truly could! But seriously, the internet is your friend. Check out wedding blogs for inspiration and advice, The Knot and Wedding Wire for local vendors and reviews, even distant Facebook friends who have gotten married are probably more than happy to chat and help answer questions! If the funds are there, a wedding planner is an option too. No matter what, just try to enjoy the planning process, you'll only do it once! Q: How far in advance of the wedding should the bridal shower be? A: There are different schools of thought on this one but I agree with the 1 to 3 months before rule. Anything closer than a month before is simply too close to the wedding. If people are traveling to attend the shower and the wedding, you want them to have at least a month in between trips, in my opinion. Only go as far out as 3 months before if the bride is on top of her game lol - basically all wedding plans should be in place or on their way to in place before the shower. The Guest list and registries MUST be done before the shower because anyone who is invited to your shower must also be invited to the wedding and those attending the shower also will need to know where to get you a gift from! Not everyone will buy something off the registry, but it makes it easier for people if they have the option.